Thank you for signing up for the GotoBus newsletter. Sorry, there are no hotel package that match your search. The Hotel is located in Long Beach, Downtown Area, is the place to stay when you're visiting this bustling Pacific Coast city. Offering a free shuttle service to within three miles radius from the Hotel and Long Beach Airport and other great amenities to have the best vacations or business trip. It's close to the St. Mary Medical Center, Boeing and Tesoro Refinery & Corporation. 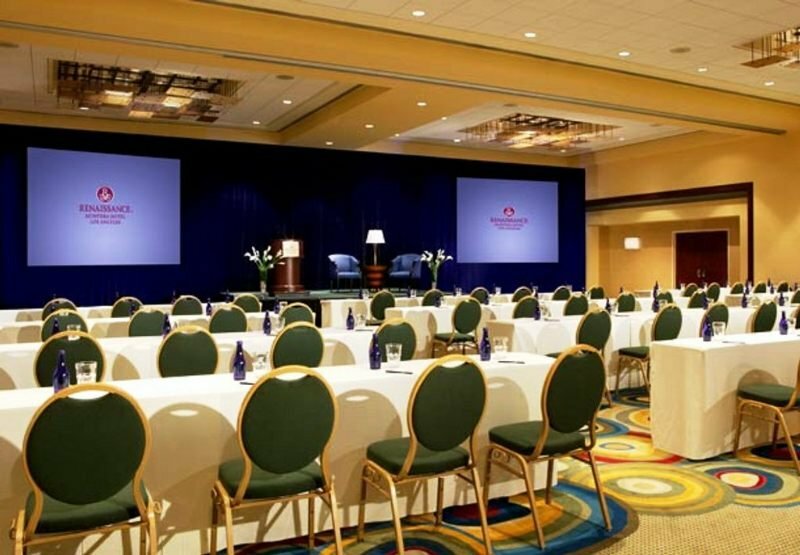 If you need to attend company seminars, you'll be glad to know the hotel is near Long Beach Convention & Entertainment Center, as well. The hotel has modern decorations with the most comfortable and cozy guestrooms, great service and all you can think to have the best moments with your family. City centre - 1.600 Km. Bus/Train station - 1.600 Km. Nearest Bus / Metro Stop - 1.600 Km. Golf course - 8.000 Km. Entertainment Area - 1.600 Km. The hotel enjoys a quiet and convenient location on the Pacific coast motorway near the traffic circle, 3 km from the beach. All 23 guestrooms have been remodelled in 2007 and offer all basic everyday necessities such as microwaves, refrigerators, hairdryers, iron and iron board, etc. Rooms are decorated in contemporary style and feature granite countertops, cable and satellite TV as well as individually controlled air-conditioning and heating. 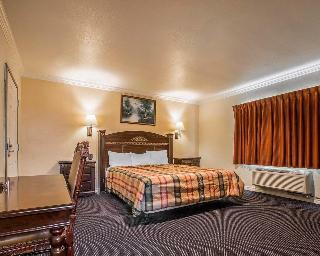 Guests traveling on work-related errands are welcome to use the hotel's fax and copy services and wireless Internet. Guests arriving by car can leave their vehicle at the parking facilities available on site. 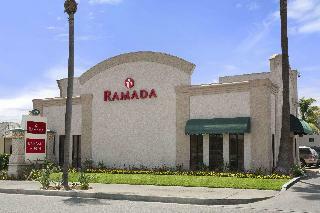 This cosy hotel can be found in Pasadena / San Gabriel Valley. The premises count with 52 welcoming bedrooms. Both business and leisure travellers will appreciate the property's Internet access. Common areas are suitable for wheelchair-disabled people. Travellers will not be bothered during their stay, as this is not a pet-friendly accommodation. Parking facilities are available for guests' convenience. Visitors travelling for business purposes may take advantage of the property's business facilities. This comfortable hotel is in Long Beach. The accommodation features a total of 49 units. Both wired and wireless connections are available for guests' convenience at the communal areas. This hotel offers 24-hour reception for guests' convenience. Pets are not permitted on the premises. Additionally, a car park is available on the premises for guests' extra convenience. A recently renovated property with a detail oriented friendly staff. 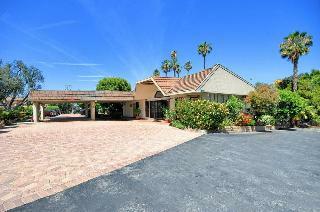 Just a block from the beach, 1 mile to the Queen Mary and a short drive to Disneyland and Knotsberry farms. There are loads of restaurants in the surrounding area. The hotel has a pool and a small workout room. Rooms have a gentle homey feel. FREE: Continental breakfast daily. FREE: Parking. 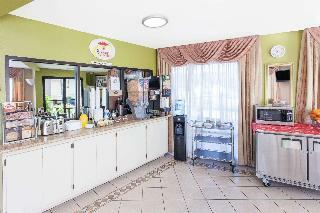 This charming hotel is located in Los Angeles International Airport. The total number of units is 47. Both business and leisure travellers will appreciate the property's Internet access. This hotel does not accept pets. Additionally, a car park is available on the premises for guests' extra convenience. 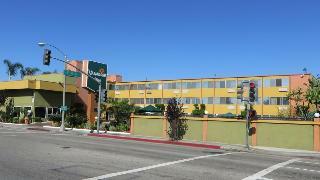 Situated in Los Angeles, this hotel is the perfect choice for business and leisure travellers. 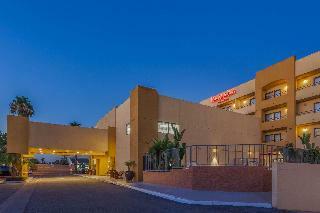 The hotel is situated close to a variety of shopping and entertainment venues, the University of California, Marina del Rey, Beverly Hills and the Westfield Shopping centre. 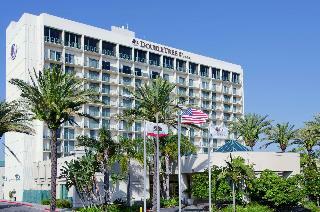 The Los Angeles International Airport is also a short drive away from this hotel. Children and fun-loving adults, will enjoy Disneyland, Knott's Berry Farm and Six Flags Magic Mountain, which are all easily accessible from this hotel. The array of facilities this hotel has to offer will please even the most discerning guest. Whether travelling for business or for pleasure, each individual guests' culinary and recreational needs and desires will be satisfied. 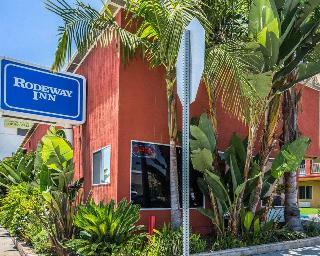 This lovely hotel is set in Redondo Beach / South Bay. Visitors will find the airport within 15. 6 kilometre(s). A total of 92 guests rooms are available for guests' convenience. All kinds of guests will keep updated thanks to the Internet connection available at Days Inn by Wyndham Torrance Redondo Beach. Customers may contact the reception desk any time during the day. 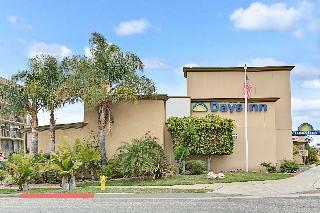 Days Inn by Wyndham Torrance Redondo Beach provides cots on request for little children. 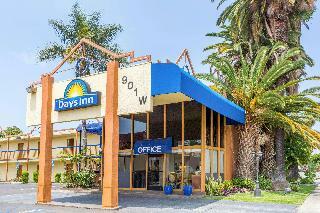 Days Inn by Wyndham Torrance Redondo Beach understands that accessibility is important to all guests. For this reason, it features wheelchair accessible bedrooms and is fully adapted for easy access. Only small pets are allowed at this accommodation. Travellers arriving by car will appreciate parking available at Days Inn by Wyndham Torrance Redondo Beach. The hotel may charge a fee for some services. This hotel is on Wilshire Boulevard, a prominent Los Angeles thoroughfare that extends all the way to the beach. 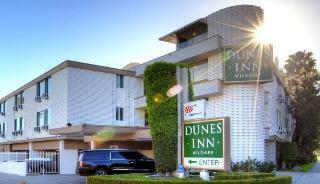 Dunes Inn Wilshire is Hollywood-adjacent, and you can drive to the sand of Santa Monica in about half an hour. A shorter trek from the hotel is the Hollywood Walk of Fame, about 3 miles away. No matter what you plan to see in LA, you can't go wrong with a carâ? ?the hotel offers free covered parking. Stay connected with free WiFi in your guest room. Other in-room amenities: satellite TV and a mini fridge Classic LA: Take a dip in an outdoor pool surrounded by palm trees. Pack light: The hotel has laundry facilities for guest use. Activities: The hotel offers discounted tickets to major attractions. Los Angeles' Wilshire District: Shopping, Restaurants, and Museum Row Wilshire Boulevard runs for 15 miles through the heart of Los Angeles, ending at Ocean Avenue in Santa Monica. City centre - 3.200 Km. Nearest Bus / Metro Stop - 0.200 Km. Golf course - 1.610 Km. Ski slopes - 15.284 Km. Entertainment Area - 4.800 Km. 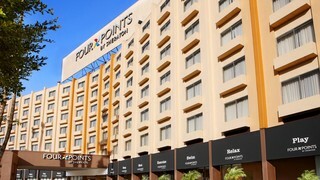 Four Points Los Angeles International Airport is just a mile from LAX Airport with free 24/7 shuttle and a mile from Manhattan Beach. Centrally located, everything in L.A. is right here: shopping, dining and entertainment. We're a quick hop to Santa Monica, Beverly Hills and the 405. Lounge by the outdoor heated pool, work out in the Fitness Center or get together in over 14,800 square feet of banquet and meeting space. For great food and drink, just stop by Comfort Restaurant or Brewsters Beererie for over 100 beer choices.